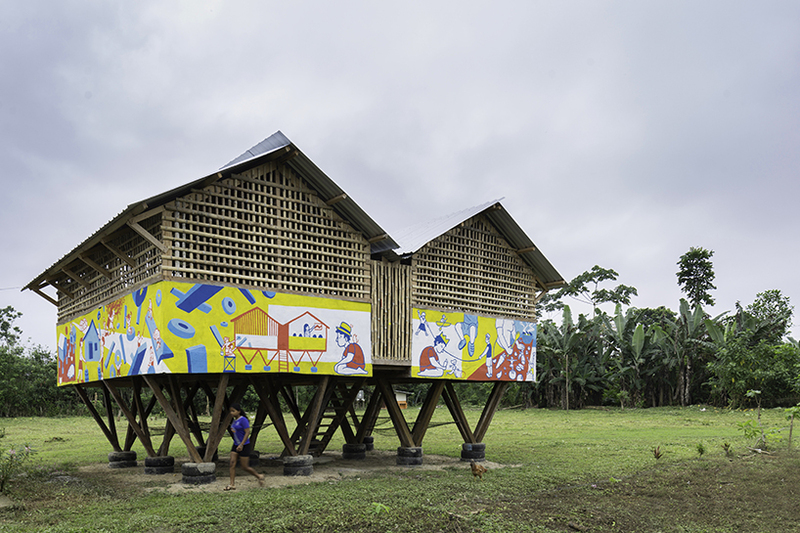 To provide the ecuadorian community of guadurnal with dining areas, the local architecture practice al borde has reused the exhibition pavilions from the united nations housing conference into a structure of two spaces. 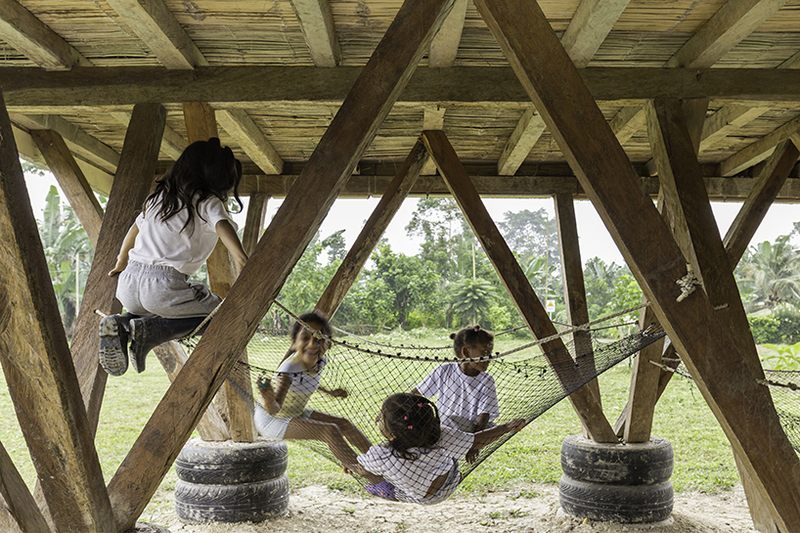 to prevent the damage from the floods — because of which the water sometimes reaches the level of 2 meters above the ground — the architects have elevated the house on functional legs featuring playful nets for the kids and shadowed area for the gatherings. 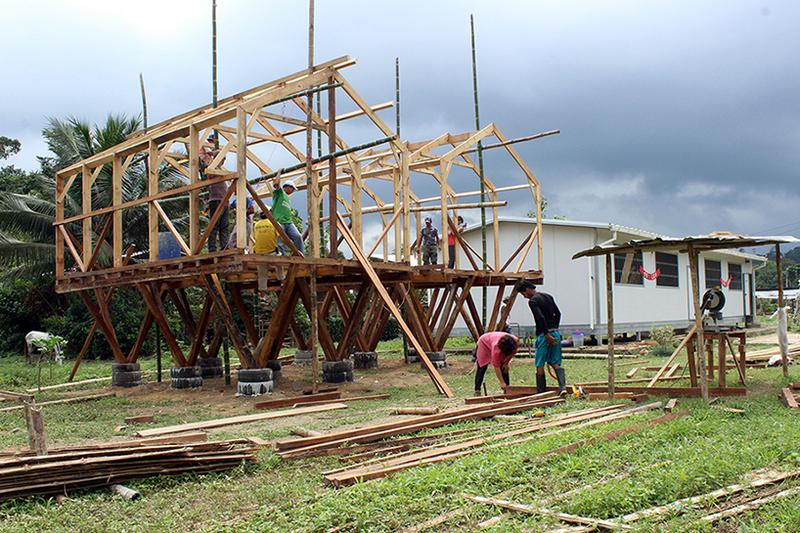 After the earthquake in 2016, taller general, al borde’s partner in this project, started to technically assist the community of guadurnal, so the studio had a very good idea of the necessities of that community. the architects took advantage of the shadow, that is vital in coastal regions, to generate a meeting place, so they placed a couple of nets under the structure. this gave the space a playful character, not only for the kids but also for the adults. The project rapidly became iconic for the community, and its members decided to give the sugar cane walls a new cement covering. 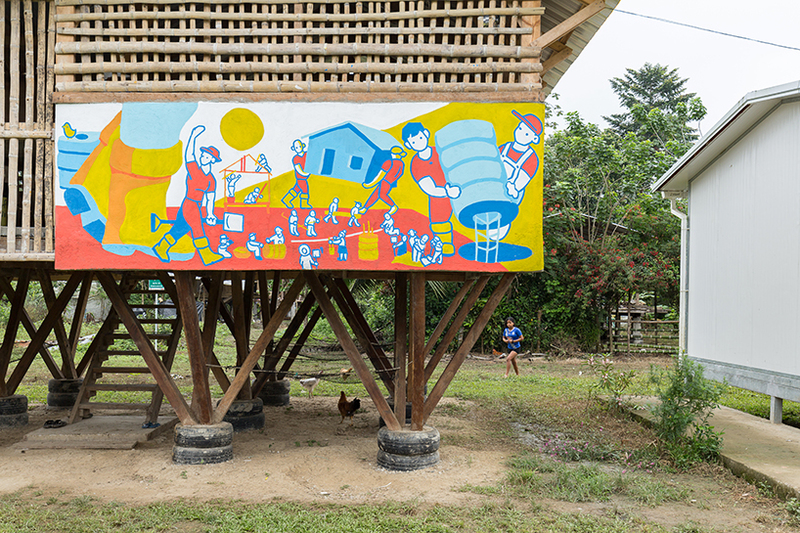 david sur, the urban artist and graphic designer of taller general, took charge of the mural which now tells the story of the community.